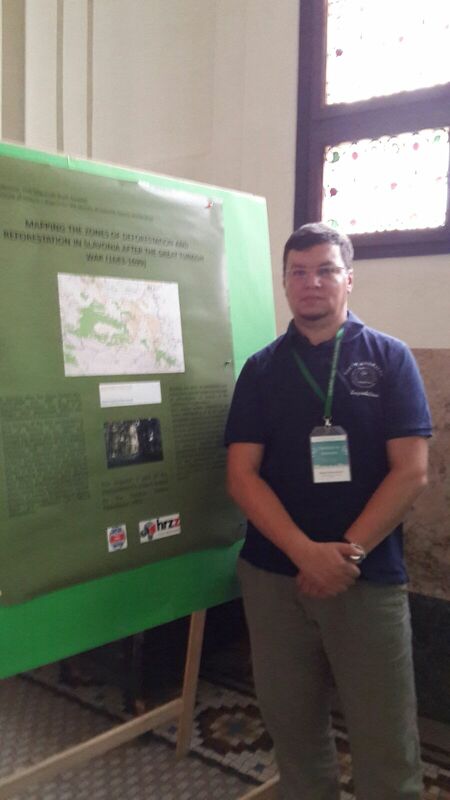 Robert Skenderović, PhD, principal investigator of the project “From Virgin Forests to Ploughlands. 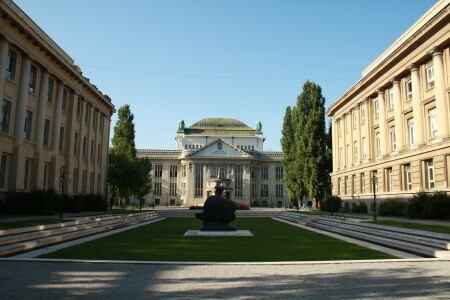 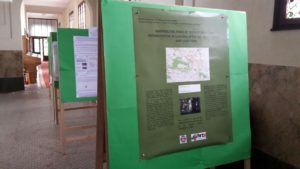 History of Anthropization of Forests in Slavonia from the Middle Ages to the Beginning of the 20th Century” which is co-financed by the Croatian Science Foundation, participated at the ESEH Biennial Conference, which was held in Zagreb from June 28th to July 2nd, 2017. 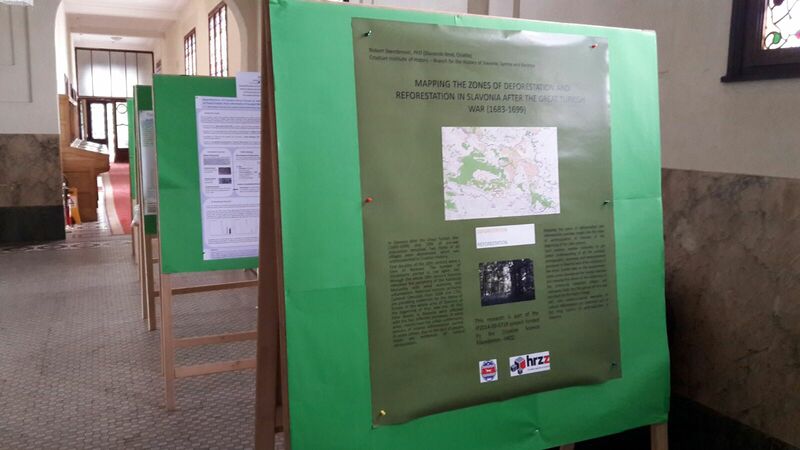 This year’s topic was “Natures in between. 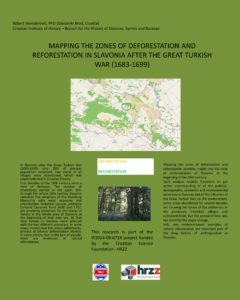 Environments in areas of contact among states, economic systems, cultures and religions”. 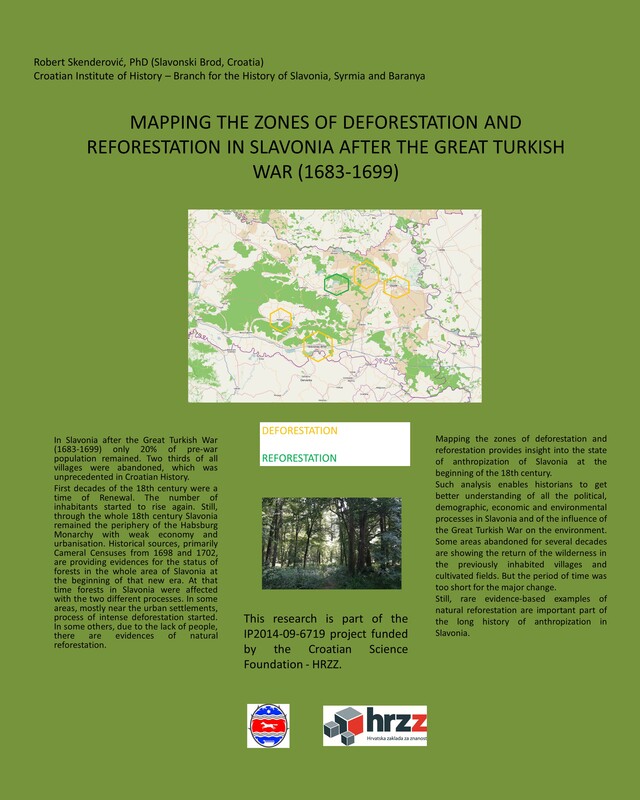 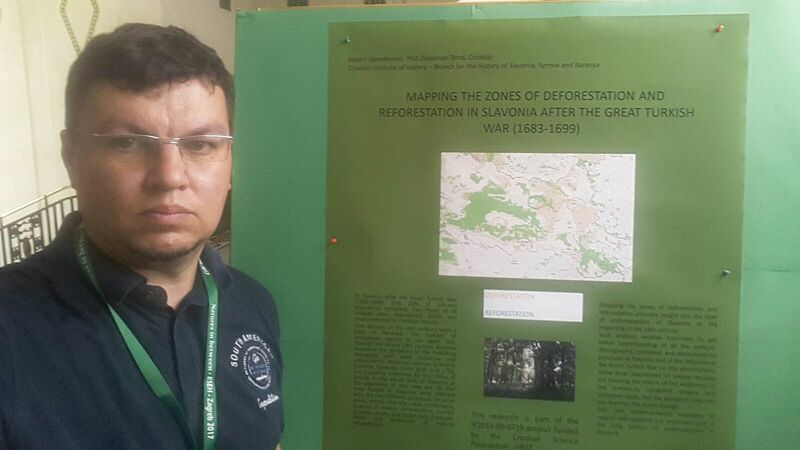 Robert Skenderović presented his poster entitled “Mapping the zones of deforestation and reforestation in Slavonia after the Great Turkish War (1683-1699)”.